When there is a need to upgrade or install a new system, one of the most important things you can do as a business owner is to choose the right company to design your solution. This is very important in situations where you need an industrial ammonia refrigeration system. This is one of the most complex, important systems to invest in, and should be done so with the help of a skilled, experienced professional. The key here is to know that some companies can ensure an excellent return on your investment. They can also handle every step of the process including engineering and design. We can do that for you at McNeil Industrial. When it comes time to update your existing systems with a more efficient model, your first step should be to call our team. For industrial ammonia refrigeration system design, the process starts with getting to know what your company has, and what you need from an end product. We offer the most up-to-date, modernized solutions to meet virtually any need you may have. More so, we offer guarantees and benefits other companies cannot. This includes cost-effective solutions that are future proof. 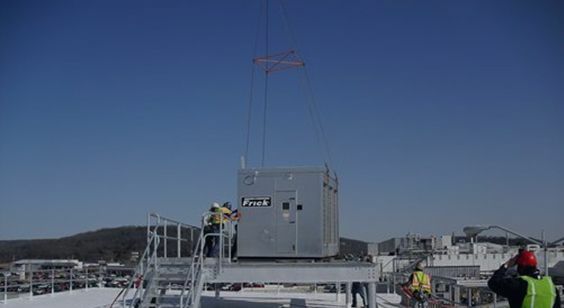 When you work with a company that can professionally handle the engineering and design of your industrial ammonia refrigeration system, you know you are working with an expert. Our goal is to ensure you have a system that improves efficiency and reliability for your organization. When it comes time to make upgrades, improve efficiency, and boost overall function, turn to McNeil Industrial. Our team provides the industrial ammonia refrigeration system design and other services you need, every time. To learn more about our services, call us at 800-728-6160.